Unless you’re living with it, you’ll have no idea what it’s like to suffer incessant wind turbine generated low-frequency noise and infrasound. A trail of abandoned homes wherever these things operate is testament to the fact that the noise is insufferable. Thumping and grinding at all hours of the day and night, it’s a soul destroying cacophony. But it’s the peaks and troughs in the sound pressure level that drives neighbours insane. What’s referred to as ‘amplitude modulation’. Here’s a detailed article setting out just why wind turbine noise causes so much wholly unnecessary suffering. In late January, the Iowa Policy Project, Iowa Environmental Council, and the University of Iowa’s Environmental Health Sciences Research Center (IPP et al.) jumped on the ‘wind energy is safe’ bandwagon with a joint release claiming wind turbine noise does not pose a risk to human health. Their conclusion was based on a summary of the ‘best’ research available to IPP et.al. but mainly relied on two papers – one by the Council of Canadian Academies (“CCA”) and a second by McCunney et al. Briefly, CCA and McCunney et al. reviewed relevant literature looking for causal links between exposure to wind turbine noise and negative health effects. Both concluded that individuals living in proximity to turbines experienced higher levels of annoyance but could not state with certainty whether the annoyance was attributable to turbine noise or other factors such as attitudes toward the visual appearance of the turbines or financial reward. In other words, people who dislike the look of the turbines or who are not financially vested in the project may be more annoyed and higher levels of annoyance could cause people to notice the noise. IPP et al. was quick to accept, and repeat this conclusion but failed to acknowledge the obvious limitations of existing study designs – limitations that both CCA and McCunney et al. admit. One notable limitation pertained to turbine noise assessments. Most of the studies surveyed relied on standard modelling methods to predict sound levels rather than actual field measurements. This means that when individuals self-reported that their sleep was disturbed by turbine noise, the researchers calculated the noise level at the time of the disturbance and made a judgement whether turbine noise, or just general annoyance, was to blame. Modeled turbine noise levels in this situation are inappropriate substitutes for actual noise measurements. Since modeled turbine noise is averaged over the long-term, it excludes the unmistakable “swish-thump” characteristically heard in turbine noise emissions. This “swish-thump” is the amplitude modulation caused by the rotating blades moving through the air. Modeling also cannot account for varying atmospheric conditions at wind energy facilities (ex: temperature gradients and turbulence) that promote louder operational conditions. CCA concedes that “…periodic amplitude modulation may be a critical component of sound from wind turbines that triggers annoyance.” And the effect is not minor. Fluctuations in actual noise levels due to amplitude modulation can vary in excess of 10 dB above predicted values while meteorological conditions can produce variations up to 14 dBA over predicted levels. This is consistent with Ken Kaliski’s finding that an additional adjustment of 11 decibels would have to be added to modeled sound power levels in order to estimate operational peak sounds produced by the turbines. Kaliski is an acoustician and contributing author to McCunney et al. Prediction noise models under-predict the loudest turbine noise levels heard by neighbors at the point when their sleep is interrupted. This is a significant factor that cannot be dismissed. When neighbors complain of disturbed sleep, researchers might cite a predicted level of 40 dBA, when the actual noise that triggered awakening was a 50+ dBA spike making turbine noise the problem. annoying character of wind turbine sound is primarily due to amplitude modulation, which causes the sound level to go up and down continually.… And, unlike the situation with regard to continuously occurring sound (fans, busy highways), it is very difficult to become accustomed to uneven sound. 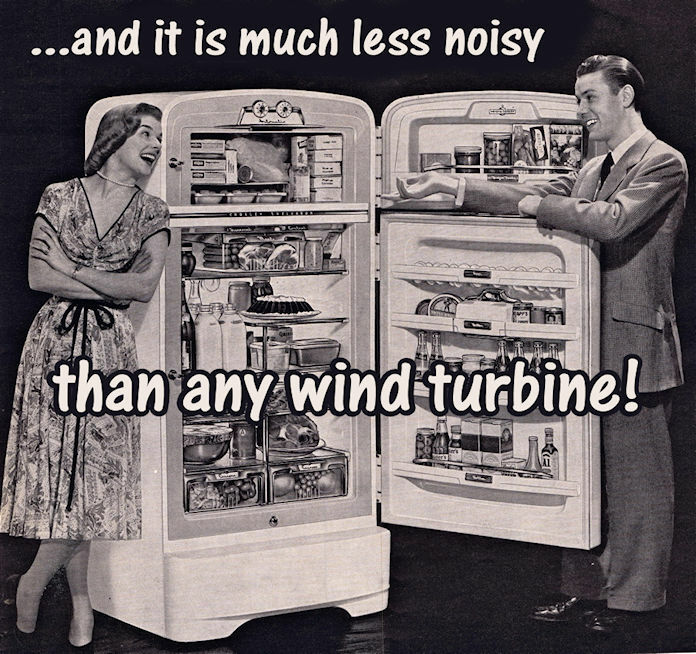 In fact, many residents have reported being more annoyed with turbine sound over time rather than less. The effect is particularly pronounced with very large turbines featuring relatively low rotation rates, where the amplitude modulation is at its greatest. With audible turbine noise levels potentially well above those calculated by researchers, it is likely noise is reducing the quality of sleep for neighbors. But what about low-frequency and inaudible levels? CCA and McCunney et. al. dismiss low-frequency emissions claiming these levels are too far below the hearing threshold to be consequential. This was not the finding of five acousticians including Hessler & Associates (who works almost exclusively for the wind industry). In 2012, which predates CCA and McCunney et al., the researchers measured “unequivocally” the presence of low level infrasonic sound emissions inside a residence near the Shirley wind facility in Brown County, Wisconsin. The low-frequency noise was found to be uniform throughout all rooms and not just those facing the turbines. Long-term, the wife and child residing there reported severe health impacts and the family eventually moved away. Hessler & Associates agreed “that a wind turbine is indeed a unique source with ultra low frequency energy” and that a “new Threshold of Perception” was needed to assess turbine noise impacts. The wind industry is heavily invested in a propaganda campaign aimed at convincing the public — and decision makers — that wind turbine noise is safe at any distance. 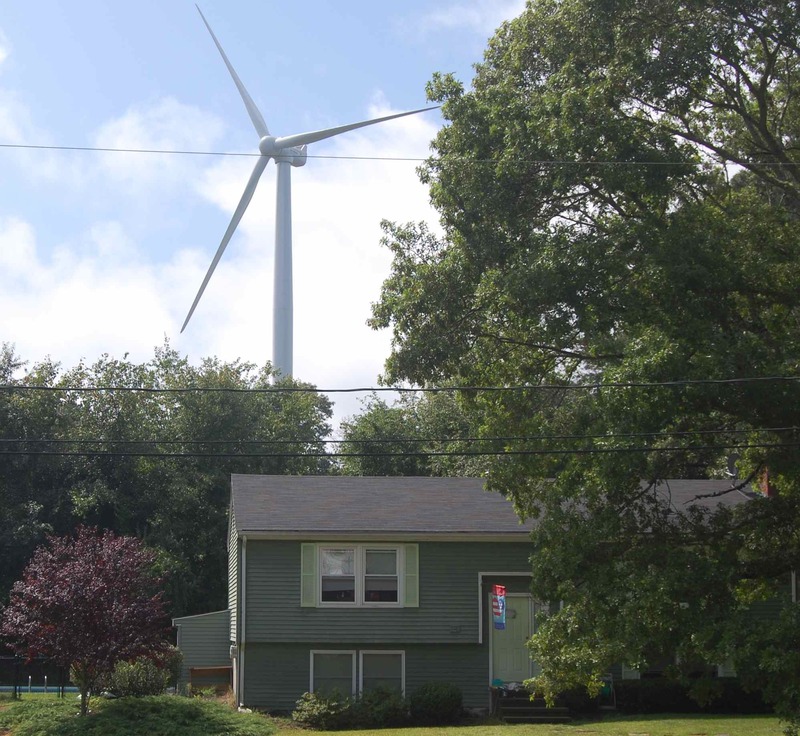 The campaign, in part, involves blaming neighbors and their negative attitudes about turbines for their discomfort while avoiding measuring the actual “swish-thump” of the spinning blades. Their campaign also requires dismissing low frequency noise and for good reason. Former Vestas’ CEO, Ditlev Engel has admitted that larger setback distances are the only way to address low frequency and infrasonic impacts, particularly on larger (3MW) turbines. Bigger setbacks means fewer locations for siting turbines near where people live. Vestas and others can complain, but the damage from turbines can no longer be ignored. There are enough turbines operating worldwide, and enough people impacted, for the public to recognize turbine noise is intrusive and potentially harmful to neighbors. Trivial reports produced by agenda-driven researchers in Iowa are unlikely to divert attention away from this fact. McCunney et al. was fully funded through a grant of the Canadian Wind Energy Association. The authors “declare no conflicts of interest.” The paper’s primary authors, Robert J. McCunney, MD, MPH, Kenneth A. Mundt, PhD, and W. David Colby, MD each have relationships with the wind industry including, but not limited to, payments received from the wind industry to serve as experts and/or prepare reports for the wind industry that examined the potential health impacts of wind turbines. McCunney et al. only states that “Drs McCunney, Mundt, Colby, and Dobie and Mr Kaliski have provided testimony in environmental tribunal hearings in Canada and the USA” with no further declaration as to the nature of those proceedings or their respective paying sponsors. Yoda Yates moves into calculations for the seat of Kooyong with an impressive performance at the Kooyong candidates forum and is now rated a 31/1 roughie on Sportsbet. With respect what has this article got to do with the trials and tribulations of Yoda Yates? I was born in 1940. This was much before wind turbines were even thought of to produce electricity. I have watched how energy was produced to power my life. I watched how younger people were convinced that the wind turbines would be the wave of the future and that they would make no more noise than a home refrigerator. I have seen how an industry shill put out a whole book on the “nocebo” effect on wind turbine neighbors, and the thought of this turned my stomach. When I realized that this was a way to steal property that people had already bought, and to drive them off that property with incessant noises, both inaudible and audible, and that I would have to live with this too, I began to do everything in my power to keep this from happening in my community, which happens to be everywhere that electricity is necessary to power life. I hope that I have made myself clear: Industrial Wind Turbines are the enemies of human existence. Nice one there..sometimes people dont undersrand simply because they have never been in that situation.